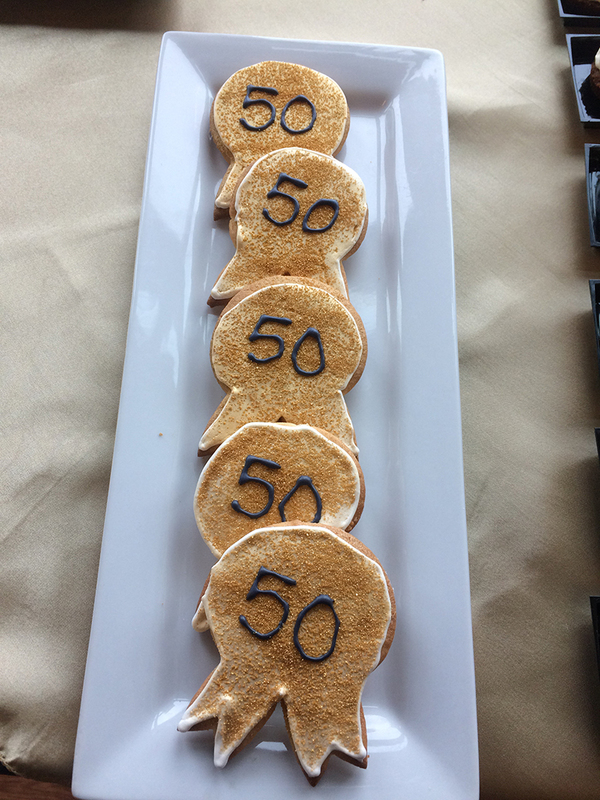 January 6 was a day filled with memories as friends, supporters and past and current staff and board members of the Homewood-Flossmoor Park District gathered at the Dolphin Lake Clubhouse to mark the organization’s 50th anniversary. H-F Park District’s outstanding facilities, exceptional programs and terrific staff were all applauded throughout the afternoon celebration. Once the H-F Park District was organized, the staff was able to start work on building what the party guests recognized as a most outstanding park district. Their sentiments are shared by the National Recreation and Park Association, which awarded H-F Park District the 2018 Gold Medal for Excellence as the most outstanding park district in the country for communities under 30,000 population. Mick Pope, the first executive director, and his wife, Sally, came from the western suburbs to join the celebration. 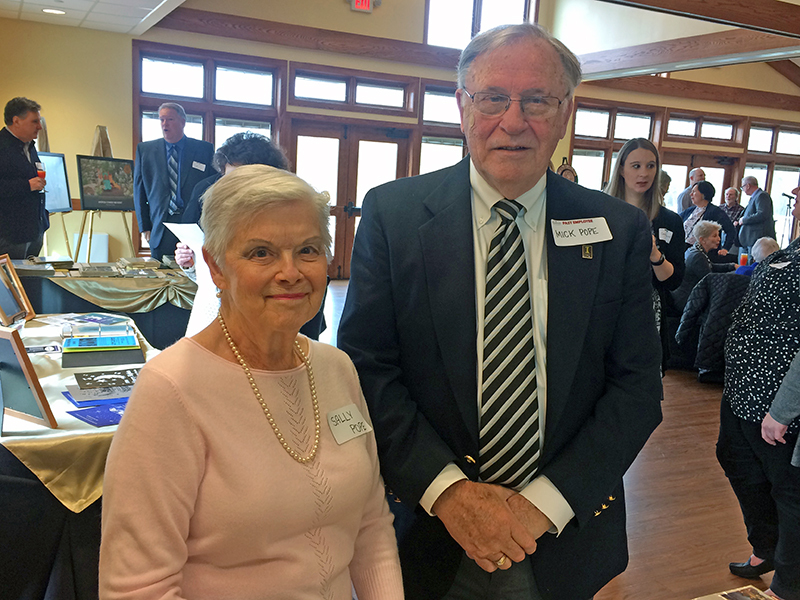 He shared his memories of the early beginnings of the park district as he straddled between the Homewood and the Flossmoor park boards and their efforts. “They had some terrific quality board members, and the question was not if it would work here, but whether we could make it work much better by combining the two districts. That had never been done in the state,” Pope said. He worked for a year serving the two boards, and after those 12 months he asked the boards whether they would agree to combine efforts. “It was obvious we needed, for economy of scale, to formally join each other,” he said. Although the facilities were “pretty much worn out, we fixed it up and made do and people really responded. We had to close the pool several days because the admission was at capacity,” Pope recalled. As a youngster, Flossmoor Mayor Paul Braun spent his summer days there. Merchants Park would be flooded for ice skating. Willow and Flossmoor Parks were also great skating areas. Greg Meyer served as the recreation director for seven years before being named the executive director, a position he held for 25 years. He hired Mike Nussbaum to coach T-baseball. Later, Nussbaum would serve as a park commissioner for 12 years. “I used Apollo Park before it was a park,” Nussbaum recalled. “Our house backed up to that field and we’d play baseball for hours.” Now the park is usually full of kids playing on the three soccer fields, the three softball fields, the two baseball fields, the playground and the tennis courts. “To me, that’s what the parks are all about — young kids outside,” Nussbaum said.